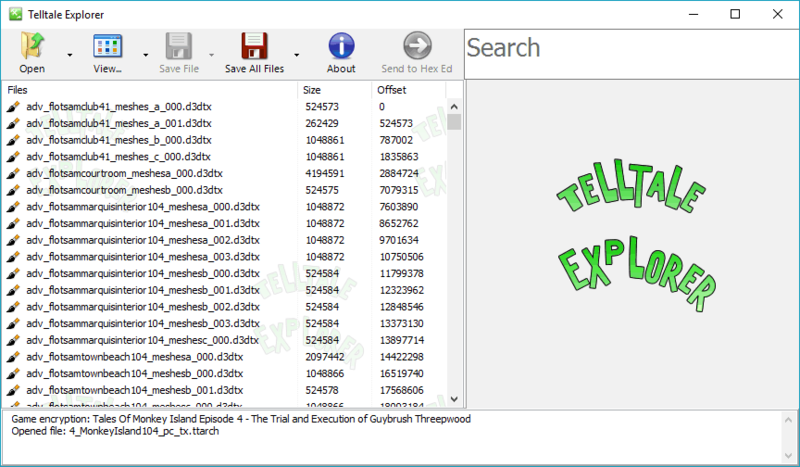 A program that enables you to extract, view and convert resources from games released by Telltale Games. Lets you play and dump the audio (music, speech and sfx). Displays the images as you browse and lets you save them as PNG’s or DDS files. Decodes and displays the scripts and text as you browse through the files. It has been designed for the pc versions of the games although it does work with some Wii versions. Only games that are AT LEAST a year old are supported, this is deliberate (see the readme). Sam and Max: The Tomb of Sammun-Mak. Support will be added for future games, but only once they are at least a year old. If you use this tool then please make sure you buy the games.